The Montgomery Advocate, a general-interest news source for the Montgomery College community, is run by students of Montgomery College and is a designated public forum for the news, information, and expression of MC students, faculty and staff. The primary purpose of the Advocate is to inform the college community of news and features appropriate to the general MC audience. However, the site also serves as an opportunity for training in journalism, leadership and professional development for the student staff members. 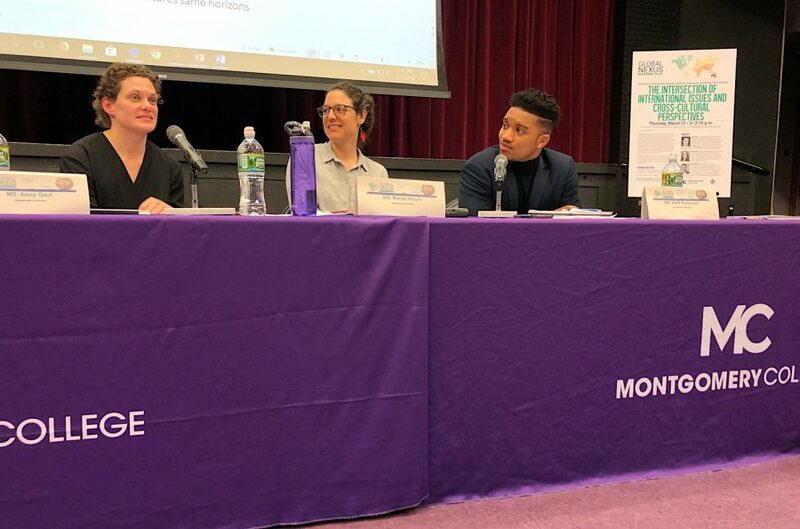 Members of the Montgomery Advocate believe in the First Amendment rights of the students, faculty, and staff of Montgomery College and work professionally to acquire and distribute information in the name of the greater MC community. We realize that the rights guaranteed to and espoused by the Advocate staff come with responsibilities to truth, fairness, and accuracy in the stories, photos, editorials, cartoons and other content of the paper and associated websites. We expect staff members acting in the name of the Advocate to do so professionally and intelligently with the best interests of the readership in mind.